There are many ways to retrieve data from the address directory. Some of them can be explicitly requested, some are automatically carried out. 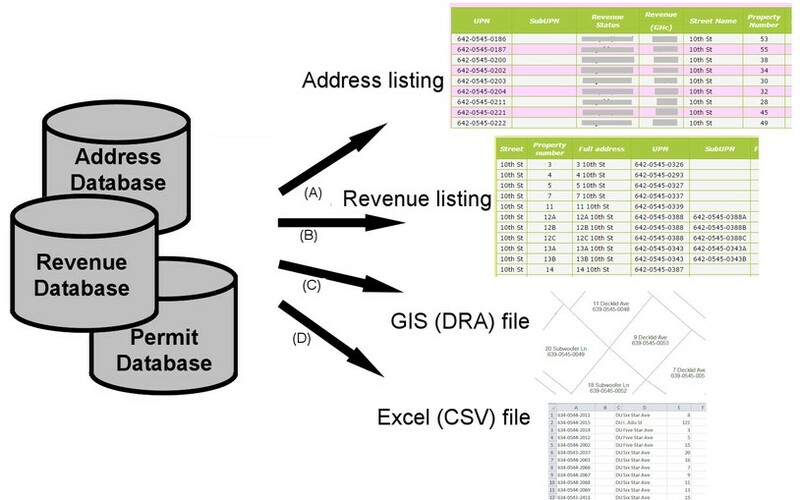 Process (A): Standard retrieval from the address directory can be invoked through: Drawing > UPN / Street Names > Address directory or Revenue > Utilities > Address directory. 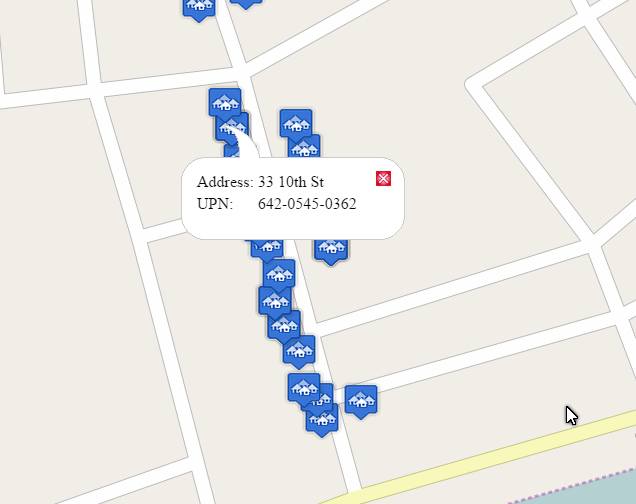 You can filter by any of the listed criteria (UPN, street name, previous street name, Local Plan). 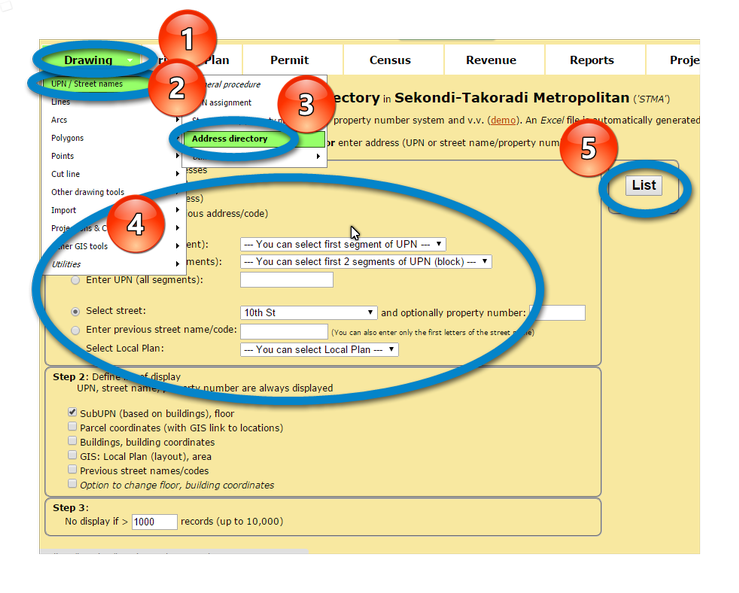 Process (B): All listing of revenues will show, if requested, the street names and property numbers (as 1.sample on this page shows). This will help the revenue collectors to collect the fees, in addition to the 'old house numbers' and the valuation code. 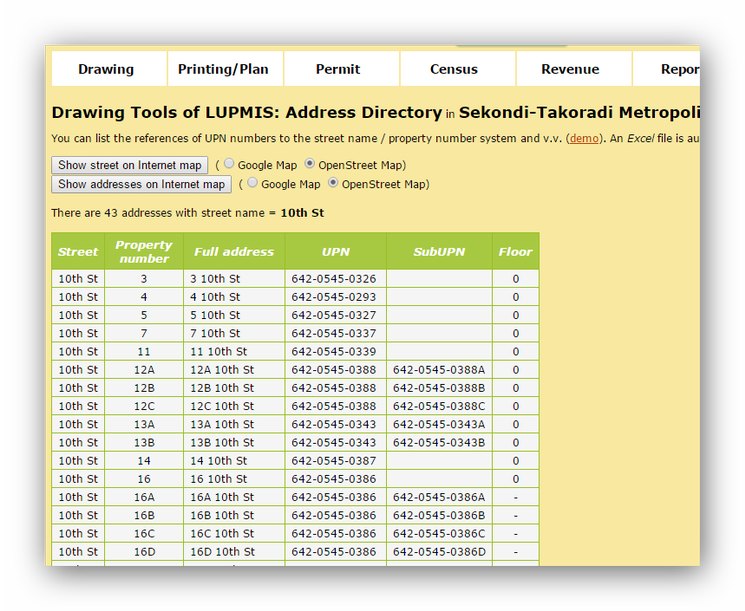 Process (C): You can also update an existing Local Plan (layout) DRA file with street names and property numbers from the address directory by: Drawing > UPN / Street Names > Utilities > Assign addresses from DB to DRA. Only layout files in the SL folder will be able to be updated. This process might run a few minutes, if it is a large DRA file. For safety, the original DRA file will not be altered, but a new DRA file with the updated addresses (filename with '_withaddress') will be created. It is upto you to replace the 'old' layout file in the SL folder with the new one. Parcels which don't have a match in the address directory, will receive an '-' in the 'Display label'.